PLAY SCULPT LIVE: What is in my Kitchen? What is in my Kitchen? This Ironcraft challenge was simply the kitchen. It could be anything for the kitchen, found in a kitchen, made in a kitchen. Well, I use my kitchen toaster oven for baking clay all the time so I'll just show you what I made up this week. Now, every once in a while I come up with a new product to offer at the artisans shows I do during the year. This year I am offering this new crochet tool that is just wonderful. I sell individual crochet hooks, hooks in sets from 2 to 22. 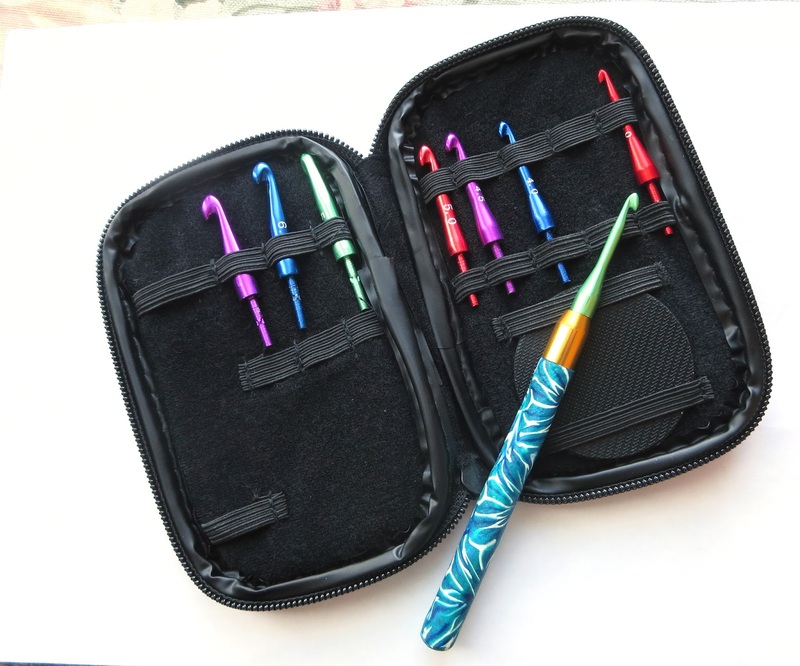 This set is actually just one handle with 8 different size hooks that are interchangeable. How amazing is that? When I first stumbled on that set I knew I had to add that to my inventory. I know they won't stay in inventory for long and will hopefully be able to replenish on a regular basis. With the size starting at 3 going up to 7, these 8 hooks are probably all you'll ever need. Of course, I've been thinking about crocheting with the selvage edges off my quilting fabric so maybe I'll need a bigger hook for that. What projects can you imagine with your crochet hooks? Oh, making an interchangeable set like this is a wonderful idea! The handle is very comfortable to use and with the 8 different heads, it's a very good set to have. Thanks.